WELCOME TO OUR FELLOWSHIP IN CHRIST! 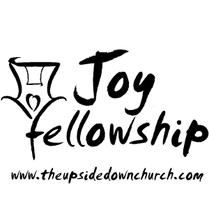 At Joy Fellowship, some may say we do everything "upside-down." We meet on Saturdays, we don't have any pews, and everyone can dress in there Saturday "best". Well, maybe we are a little "upside-down." We are a simple church, with great visions for what we can do as a family in Christ. We like to think of ourselves as a modern take, on the very first churches. They were led by ordinary men and women with an extraordinary message. A messege based not on the world, but on love. Their hope was in the promise of the coming kingdom of God. Their focus was on the return of Jesus Christ, and they were preparing for that day. This was the message Jesus believed and taught. The same messege that Jesus' disciples followed and taught. This was the messege that inspired them, and gave them hope. and still turns the world "upside-down" today. "We love to learn and share about the word of God. Growing our Church's future with the ones who will someday be teaching their children." 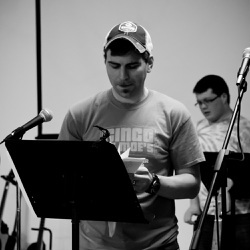 Aaron Winner, who leads the music each Saturday, has released his newest CD, "The Song" Contact us today for more info!